Home > Marketing > Are Keywords Relevant Today? Keywords have always been vital in Search Engine Optimisation, but are they still needed when we have so much new social media being utilised? The answer is a resounding yes. Keywords help to get customers – they key in what they want and hopefully, if your website is set up correctly, they are provided with your website details. Each search engine will check all the websites that it hosts in its database and match up the keywords with what has been provided by the website designer. All matching results are displayed on Search Engine Results Pages (SERPs). As you can imagine, there are literally billions of websites that have to be waded through. This is where the search engines use their own specific algorithms to match queries to results. These algorithms pull out the results on the information from On Page and Off Page information. On Page is the actual website domain and all of its content, which includes the sub pages. 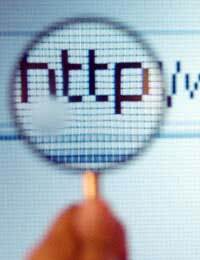 Off Page information relates to other websites which have a backlink to the URLs that the search engine algorithms are checking out. Each individual web page should include meta tags, which is where keyword optimisation is very important. Meta tags define the actual page content to the algorithms. There are two types of keyword search, Long tail and short tail. Long tail keywords involve three or more words put together, for example “tennis shoes white”. A short tail keyword is a search with under three words. Take into consideration both options when attaching keywords to your descriptions. If you have a very specific product or service, then long tail keywords could work well in your favour. For example if you were looking for “Billy Bunter Books published Howard Baker” there won’t be many returns on your query but you will probably find what you are looking for if such a site exists. If you have a range of products available, then the short tail keyword option may be better for you. If you are designing your own site, you may find the use of negative keywords important. These allow you to filter undesired impressions even further. If you are using Google Adwords or any paid-for advertising, then using negative keywords can reduce your overall cost per click rate and weed out any timewasters or wrongly-targeted enquirers. To find keywords that work, check out the competition and see how their sites work. Use the Google Keyword Tool to find out which words are most relevant for your particular business. Ask people what they would search for – sometimes you may be so close to your business that you miss the obvious! Monitor the density of your keywords for maximum impact. Ideally, the optimum amount of keywords to use in text is around 5 to 10%. Search engines are very clever in weeding out overdone keyword addition purely for enhancing search rankings. Keywords are still as relevant for attracting web traffic to your site as ever, so ensure that meta tags and keywords, when requested, are as important in your mind as the actual content of the website itself. However, ensure that inclusion of keywords in online advertising is targeted and relevant to your business. You may want to get into the top ten on the major search engines but your whole aim is to draw traffic to your site and convert them into customers. Combine good content with the keywords and you will attract visitors. And remember to constantly monitor your site using the free tools available from the top search engines to help you assess what is working and what isn’t.